All correspondences and scientific manuscripts related to the study to be submitted to our journal should be made through the journal management system (www.journalagent.com/gkdaybd). Detailed information on submissions of manuscripts can be obtained from this internet address. A special reference number will be assigned to each article submitted and the receival of the manuscript will be confirmed by e-mail. In order to consider the manuscript for evaluation all authors participating in the study should submit their “UNDERSIGNED CONSENT DOCUMENT” stating that they want the manuscript to be published in the GKDA Journal along with a copy of "LOCAL ETHICS COMMITTEE DECISION." Otherwise the applications will not be assessed. It must be declared that the manuscript submitted along with the undersigned consent document has not been previously published elsewhere in the printed or electronic medium, or has not been evaluated for publication yet. Studies previously presented in congresses are accepted provided that this condition is stated. Those who want to withdraw their papers for publication because of delay or some other reason must apply with a letter stating their wish. No copyright is paid for articles published in the journal. The responsibility of the articles belongs to the authors. Whether or not the manuscript is accepted for publication in the journal, the manuscript is not returned to the authors. The authors of the manuscripts are not paid for the articles. Any charge is not requested from the authors or readers. 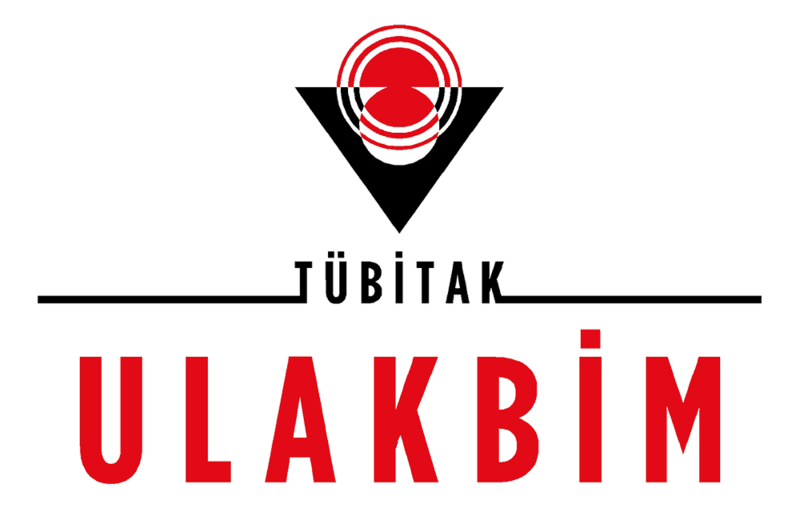 Articles can be submitted in Turkish or English. Authors who submit articles in English are advised to apply for help from experienced writers in English if they need it. Use of proper Turkish is important in writing in Turkish. 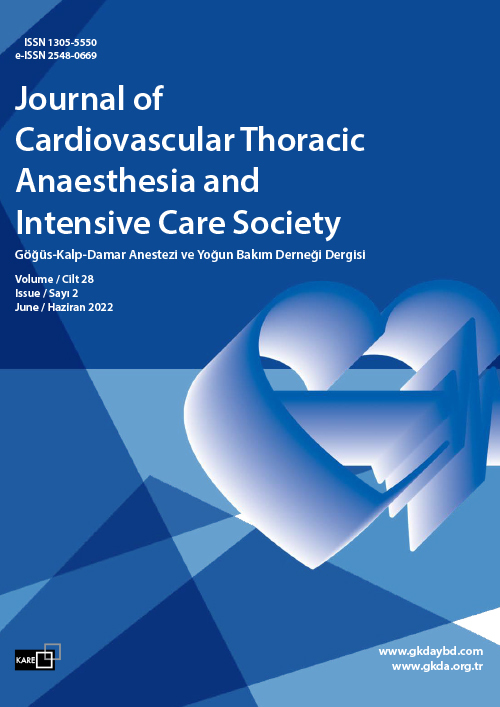 For this purpose, the Turkish Language Association Glossary and Writing Guide (www.tdk.gov.tr) is published by the Turkish Society of Cardiology "Glossary of Cardiology Terms" (http://tkd.org.tr/~/media/files/tkd/) Turkish Journal of Medical Terminology "(www.tipterimleri.com) can be used for technical terms. Compliance with the research and publication ethics must be passed through and approved by the Editorial Board in order for scientific manuscripts to be published in the journal. An editor is appointed through the journal management system (Journal Agent) for each manuscript to be reviewed for publication. This editor assigns the chapter editor. Two or three peer-reviewers are appointed by the department editor. The evaluations are made by the double- blind referee method. The referees evaluate the manuscripts without knowing identity of the author(s). The manuscripts are evaluated on the basis of the importance, originality and scientific validity of the material presented. All studies that are decided to be published in our journal are subjected to plagiarism checkers, such as iThenticate or Turnitin. According to the result obtained, its publication, correction or rejection can be decided. Editorial Board has the authority to return the manuscripts to the author(s) to modify, shorten, and edit the manuscripts that do not meet conditionsof publication. Manuscripts should preferably be written using the Microsoft Word program. The manuscripts should be typed in 12 point Times New Roman characters. Manuscripts should be written double- spaced on one side of the A4 (21x29.7 cm) white paper and throughout the entire manuscript (including headings, abstracts in Turkish and English, main text, references, tables and subtitles) and justified leaving 3-cm margin from both sides. They should be written in accordance with word processor's page layout settings. Journal Agenda Online Article Collection and Evaluation System is being uploaded online, Article and Abstract Information, Information about Institute, Author Information, Responsible Author Information, Article Title, Article Turkish and English Summaries of the Article, Turkish and English Key Words, NoteEdit, File Upload (Full Text - References – Table(s) - Pictures - Graphics – Notes to the Editor ) are recorded separately step by step in the system. The authors are kindly requested to submit their ORCID numbers obtained the website from www.orcid.org and indicate them in the relevant area at this stage. Abstract and full text should not contain information about the individuals and institutions participating in the study. Authors must declare that all or part of the material in the manuscript has not been published and is not currently being evaluated elsewhere for publication. Each author must declare that he/she participated in the investigation enough to share the responsibility of its content. Original articles and review articles should not exceed 10, case reports 4, letters to editors 1 page (excluding references, tables and graphics). In the manuscript, the sections and contents of the manuscript should be presented as follows. Title: A short title should be used whenever possible. The title of the research, and review articles should not exceed 95 characters (each letter, space, and punctuation marks are considered as one character), in case of case reports, letters and presentations of surgical techniques it should not contain more than 80 characters. Abbreviations should not be used in the title. The title should be written in Turkish and English. A short title should be added as a subtitle which should not exceed 40 characters. The abstracts should not exceed 250 words in the research papers Headings should not be used in summaries (the English translation of the title should be written on the title page). Abstract in Turkish should consist of four subheadings as While abstract in English should include subheadings of Aim, Material and Method, Results, and Conclusion) In case reports and review articles donot contain these sections, and abstracts should not exceed 100 words. English title, and abstract should be. English title and abstract should be word by word translation of the Turksih abstract. Letters to editor, and Editorials do not require abstracts. Use of abbreviations should be avoided as much as possible in summaries. If absolutely required, abbreviation should be used after its definition is provided in parenthesis at the first mention of the term. Reference should not be used in the abstract. Introduction: The general conditions of the study settings, the structure and significance of the problem, the specific objective of the study or research tested in the study or observation should be clearly indicated. The primary and secondary objectives of the work should be clearly stated and the predefined subgroup analyzes should be transferred. Only references related to the topic should be used and the data or results of the presented work should not be included in these references. Material and Method: The informed consent of the patient and the approval of the ethics committee should be acknowledged. A statement must be added that the informed consent was obtained from each participant in clinical trials. It should be noted in experimental studies that all animals were subjected to a humane treatment in accordance with the Guide for the Care and Use of Laboratory Animals (www.nap.edu/catalog/5140.html). Statistical methods should be provided in sufficient detail so that the readers can reach the original data and evaluate the reported results. Findings should be measured as much as possible and the appropriate margin of error and uncertainty (such as confidence intervals) should be indicated. It is important to avoid relying only on the p-values ? ?of statistical hypothesis measures that are insufficient to convey important information about the dimensions of the effects. P values ? ?must be given explicitly. Statistical terms, abbreviations and symbols should be defined. In the last paragraph of this section, statistical analyses used, and the values given by the (±) sign after the arithmetic mean or proportion should be indicated. Discussion: The results of the study are evaluated by comparing them with the international, and domestic literature. New and important aspects of the study and its outcomes should be emphasized. Data and other information presented in the Introduction and Results sections should not be repeated. In experimental studies, we should briefly summarize the main findings and then analyze explanations with possible mechanisms and compare them with other similar studies. It would be appropriate to comment on the implications of these findings for future researches and clinical practices. The objectives of the work should be correlated with the results. However, unmeasured situations and outcomes that are not adequately reinforced by the data should be avoided. The resulting decision arrived must be stated in the last paragraph of the discussion. If the article does not include appropriate economic data and analysis, no particular comment should be made on economic interests and costs. Claims on an incomplete study should be avoided, new hypotheses must be specified when they are confirmed, and their novelty should be clearly emphasized. Tables and Charts: Charts can be saved in a single chart file, tables can be placed in one spreadsheet file on each page. Titles, descriptions and footnotes should be placed on each sheet of paper. The tables should be demonstrated in brackets in the text. It should carry a short self-heading. According to their appearance in the text, each one should be given a short title, starting from the top left, and numbered sequentially by Roman numerals. There should be no lines on the background, they should be drawn on a white background.. Horizontal and vertical lines should not be used in the table . Each column is given a short or a concise title. Explanatory information should be placed in footnotes, not in headings. Abbreviations should be explained in footnotes. The explanations of the abbreviations should be in the form of subtitles under the table and in alphabetical order. The following symbols should be used in the footnotes, in the following order: *, †, ‡, §, ||, ¶, **, ††, ‡‡. Measures of statistical variables such as standard deviation and standard mean error should be defined. Make sure that each table and graph are mentioned in the text. There should be no frame around the graphics, no lines on its background, and the background should be white. When using previously published or electronically published tables and graphics, written permission should be obtained from both the author and the publisher and they should be acknowledged. Permission should be faxed or mailed to the journal editor. Pictures, Photos and Figures: Figures should be professionally drawn and photographed. Photographs and scans taken with a digital camera should be recorded at a resolution of at least 300 dpi, 1280x960 pixels, in jpg or tiff format. There should be no writing on the picture unless it is compulsory. Each pictures and figure should be placed on separate pages in a file containing only pictures, figures, and photos . Naming and numbering should be done as subtitles on each page. They should be placed in the text, numbered in Arabic numerals according to the order of their appearance in the text, and shown in brackets in the text When symbols, arrows, or letters that point to specific sections of the figures, and photos are used, these should be explained in the subtitle. If so, the expansions of the abbreviations should be placed under the subtitle in alphabetical order. Microscope magnification ratio and staining technique used should be explained. When previously printed or electronically published figures, images, and photos are used, written permission must be obtained from both the author and the printing house and this must be sent by fax or mail to the editor of the journal. When using the images of people whose face is not hidden and recognizable, written permission must be obtained from them. References: One should be selective in the use of references, and should include references directly related to the study. Turkish sources should be also used and authors should be sensitive to this issue. Although referencing review articles direct readers to the proper essence of the medical literature, they do not always accurately reflect the original study. Therefore, readers should be provided with as much original research articles as possible. Avoid using summaries as a source. Authors should compare references with original articles to minimize erroneous references that sometimes occur in published articles. Authors are responsible for the accuracy of refereces and their spelling. If the authors can not specify whether they referenced a retracted publication or not, they are obliged to check that the references they cited do not belong to the retracted articles. For articles in the journals indexed on MEDLINE, ICMJE considers PubMed (http://www.pubmed.gov) as a reliable source of information on retracted articles. Authors may recognize the retracted articles in MEDLINE with the following search term in PubMed; retracted publication [pt] ( pt in square brackets stands for publication type). Apart from collective and up-to-date review articles, encompassing reference lists unnecesarily occupy valuable space of the text. As a general rule, the number of references should be maximum 40 in research articles 15 in case reports, 80 in review articles, 80 in review articles and 5 in editorials. Exchanges of information during personal contacts, unfinished articles, and other unpublished data should not be referenced. References should be written double-spaced on a separate sheet of paper. References in the text, tables and figure legends are indicated by Arabic numbers. Only the references used in the table or picture subtitles must be numbered according to the order of their first appearance of the table, and figure in the text. Journal titles should be abbreviated according to Index Medicus. Year, volume, the first and last pages are indicated for referenced journals, while for referenced books only year, first and the last pages are stated. If the surname of the first author of the article to be cited is to be given, the abbreviation "et al." should be added followed by the reference number in superscript "", before completion of the sentence. If no name is to be given in a sentence, then the reference number must be given at the end of the sentence, after the period in a superscript bracket "". If different references will be stated for different expressions within a sentence, each reference must be given within a bracket "" before the punctuation mark at the end of the statement. Full surnames of the authors and the initials of their names should be written in references. If the number of authors in the reference is equal to or less than 6, then all authors should be indicated. . If the number of authors is more than 6, then the first 6 authors should be written before the abbreviation "et al." (for international publications) or "ve ark." (for national publications). 1. Solca M. Acute pain management: unmet needs and new advances in pain management. Eur J Anaesthesiol 2002; 19 Suppl 25:3-10. 3. Kahveci FŞ, Kaya FN, Kelebek N ve ark. Perkutan trakeostomi sırasında farklı havayolu tekniklerinin kullanımı. Türk Anest Rean Cem Mecmuası 2002; Kongre ek sayısı: 80. Gurbet A. Comparison of morphin, fentanyl, and remifentanyl with patient-controlled analgesia (PCA) following off-pump coronary artery surgery . (Dissertation). Bursa, Uludağ University, 2002. 1996 NRC Guide for the Care and Use of Laboratory Animals. Available at: http://www.nap.edu/readingroom/books/labrats/contents. html. Accessed October 20, 2003. 12 points, "Times New Roman"